A pregnant belly swells beneath the sturdy fabric of a well-worn studio apron. An infant watches, enthralled, as her mother’s feet gracefully extend en pointe. Unformed clay overflows the tight grasp of a child’s chubby hands. 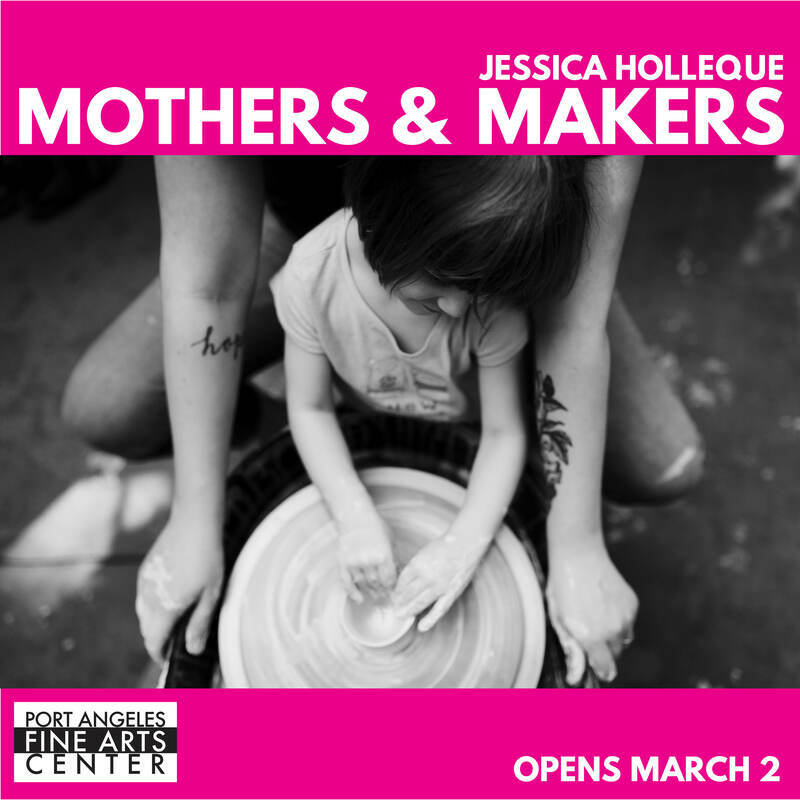 These are the subtle, poetic moments revealed in Jessica Holleque’s new black and white series, Mothers and Makers. The photographer set out to “highlight and honor the stories of women living out the dual experience of being an artist and a mother,” a meandering journey that brought her into art studios and homes across the United States. She observed mothers and children engaged in creative processes ranging from pottery to writing to dance. The resulting photographs invite viewers to ponder moments of profound intimacy and intensity, celebrating the extraordinary care and focus that defines the creative process as well as the parent-child relationship. Port Angeles Fine Arts Center is thrilled to be the debut venue for this new body of work. Thanks to ours sponsors D. A. Davidson, Camaraderie Cellars, and the City of Port Angeles, as well as individual PAFAC members and donors, for supporting this exhibition.